The supermarket giant acknowledges its support of Adam Putnam has "led to a divide in our community." Publix, facing consumer boycotts, student protests and threats to its wholesome image for its generous support of Adam Putnam's bid for governor, announced Friday it is suspending all corporate campaign contributions immediately. The popular retailer, facing a rapidly escalating public relations crisis fueled largely by social media and the debate over guns, issued a statement at the start of the three-day Memorial Day holiday weekend acknowledging the "divide" that it has caused by its unprecedented financial support of Putnam's campaign. "At Publix, we respect the students and members of the community who have chosen to express their voices on these issues," the company said. "We regret that our contributions have led to a divide in our community. We did not intend to put our associates and the customers they serve in the middle of a political debate. At the same time, we remain committed to maintaining a welcoming shopping experience for our customers. We would never knowingly disappoint our customers or the communities we serve." The company's action suggested that the furor over its contributions was having a significant effect as the 2018 political campaign attracts growing attention from Florida voters. David Hogg and other students at Marjory Stoneman Douglas High School in Parkland, the scene of a February massacre that killed 17, organized a 4 p.m. "die-in" Friday at a Publix parking lot in Coral Springs. Several dozen protesters followed through with the protest. Some held sunflowers as they lay sprawled on the floor of the grocery store. They were flanked by a smaller group of counter-protesters chanting "NRA" and "Trump," but the demonstration was peaceful. Officers with the Coral Springs Police Department stood by during the event. Publix is Florida's largest private employer with more than 175,000 employees. The company has stores in seven southeastern states. Publix Supermarkets, Publix executives and family members have donated at least $670,000 to the campaign of Putnam, the elected state agriculture commissioner and an opponent of new gun restrictions who called himself "a proud #NRA sellout" last year. The Lakeland-based food giant donated most of that money after Putnam's "NRA sellout" claim on July 25, 2017. Publix gave Putnam's political committee, Florida Grown, $50,000 on July 31, $20,000 on Oct. 27, $30,000 on Nov. 15 and $100,000 on April 30 of this year. All told, Publix has donated $2.1 million to Florida candidates in both parties and to political committees this election cycle. Putnam, 43, is a native of Polk County where Publix is based (the company was founded in Winter Haven in 1930). Putnam faces U.S. Rep. Ron DeSantis, R-Palm Coast, in the Republican primary for governor on Aug. 28. 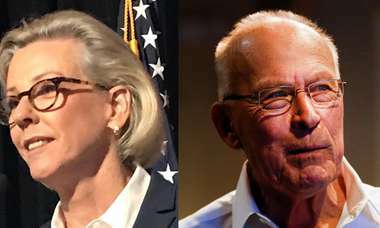 "Nothing has changed," Putnam's campaign said in a statement. "Adam Putnam supports Publix, which is Florida's top private employer. He is thankful for their support as Florida's candidate over the years." DeSantis weighed in on Twitter, saying he can't understand why Publix would "cave to such misguided and unfair complaints." 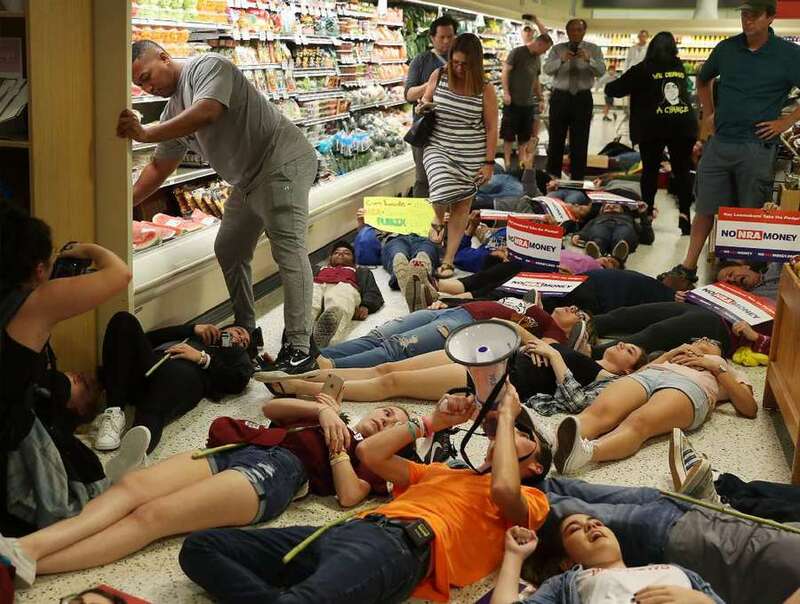 Diego Pfeiffer, an 18-year-old Stoneman Douglas senior who helped organize the demonstration with Hogg, said Publix's announcement proves that the die-in was successful. He and fellow supporters learned of the policy change after their protest. "I'm really, really happy, especially at the fact that peaceful protest actually works," he said. "It shows that people are listening even though a lot of people vocally don't support us." Miami Herald staff writers Alex Harris, Martin Vassolo and David Smiley contributed to this story.